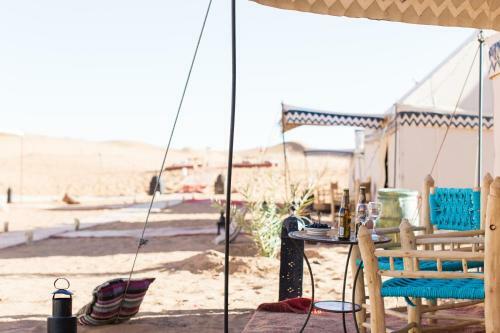 This tent offers a seating area and a private bathroom with shower and toilet. 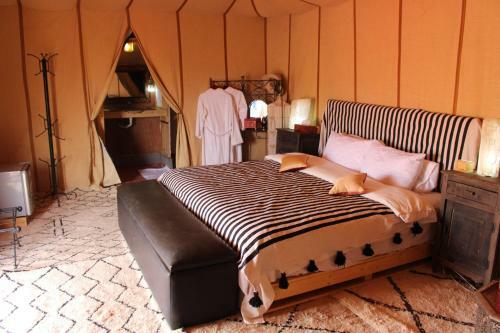 This tent offers a carpeted floor and a private bathroom with shower and toilet. 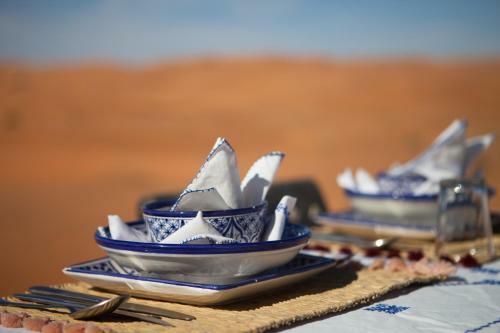 Offering a restaurant, Desert Luxury Camp is located in Merzouga. 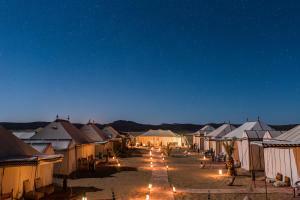 All Tents are fitted with traditional amenities. They offer a private bathroom room with shower and toilet. 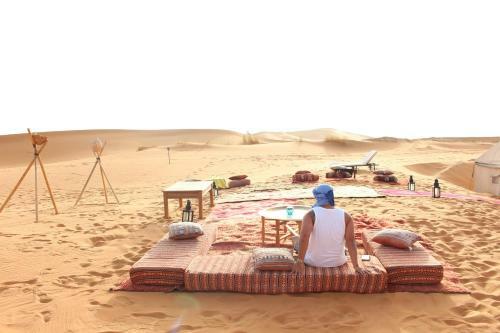 At Desert Luxury Camp you will find a terrace. An array of excursions and activities can be enjoyed on site or in the surroundings, including hiking, trekking and camels riding. 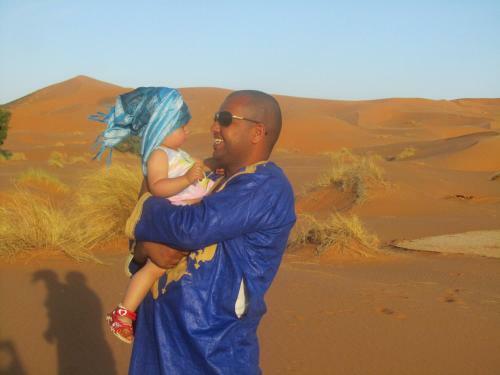 Ouarzazate International Airport is 360 km away. Las carpas y el mobiliario de lujo. La comodidad de las camas y la limpieza. 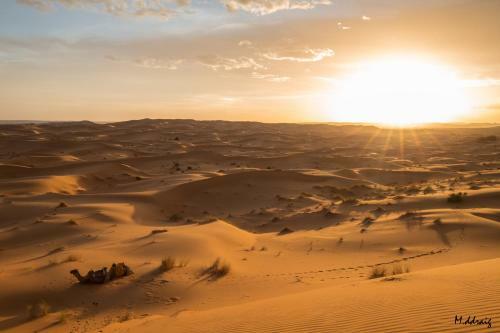 El poder darme una ducha caliente en el desierto. Muy buenas cenas y desayunos. La amabilidad y buena disposición de Hassan. 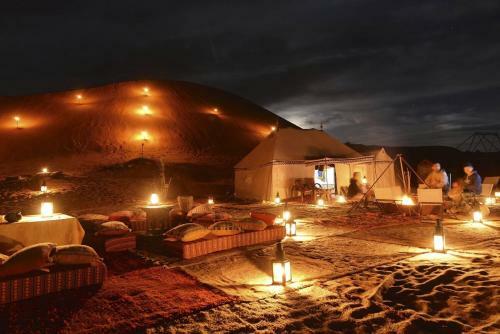 Camp that is truly luxury. 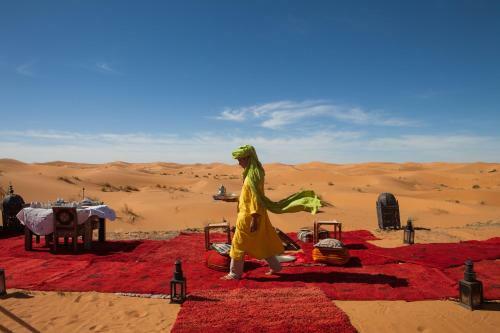 Located in the far end side of the dunes in remote location offers a great desert experience. The tents very huge with beautiful decorated tents. 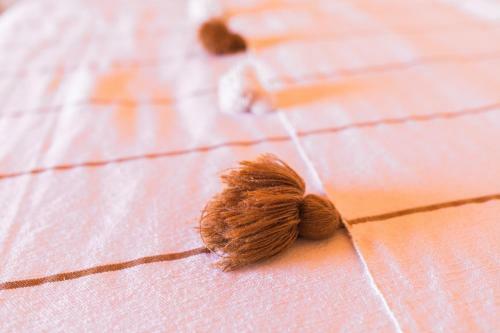 Beds were comfortable for sleeping with nice covers and linen. THe tent had carpeting wall to wall, nightstand tables, seated area, dressing table, place to hang clothes. Bathroom was another tent attached to our sleeping tent. There were wooden doors separating the classic toilet with shower and sink. Hot water available with hand held shower. Mirror, shampoo, soap, towels and even hair dryer provided when ask. Electricity available in tent. The whole camp was beautiful. Large dining tent where we had dinner. There were also hammocks to relax and sun loungers and tent with salon. Plenty of books and table games if you want to relax were available too. Meals were delicious with a lot lot of food. Cooler in the dining tent staff of sodas and waters available to take anytime. Truly wonderful experience.